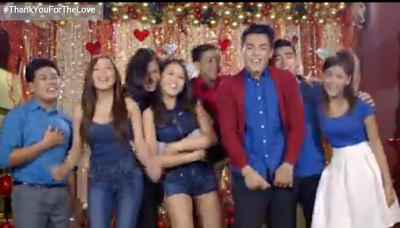 Home ABS-CBN STATION ID PINOY BIG BROTHER TELEVISION VIDEOS ABS-CBN Christmas Station ID 2015 is out! Watch! ABS-CBN Christmas Station ID 2015 is out! Watch! ABS-CBN Christmas Station ID 2015 has made its world premiere earlier, November 12, 2015, after TV Patrol. Once again, ABS-CBN has come up with another commendable and meaningful Christmas Station ID that has a powerful message of gratitude, being thankful to people who have loved and inspired us, and made a big impact to our lives. Watch the almost 10-minute Station ID if in case you missed it earlier after TV Patrol newscast (it has just been played again during Tonight With Boy Abunda). Singing the theme song are 3 of the network's hottest loveteams - Kathryn Bernardo and Daniel Padilla, Liza Soberano and Enrique Gil, James Reid and Nadine Lustre. Russian plane crash in Sinai, shot down by ISIS?